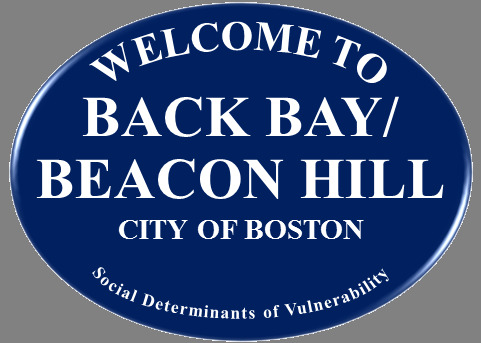 The most socially vulnerable people in Back Bay/Beacon Hill are females of color who have limited English proficiency, rent, have a medical illness, and do not have a vehicle (r ≥ 0.782, P < 0.01). This neighborhood had the smallest percent of people of color as well as those with limited English proficiency compared to other neighborhoods. This indicates that this cluster of social factors likely exists in smaller numbers.